Providing a simple, one-stop, heating and cooling solution, a packaged heat pump system is one of the most popular HVAC units in Longmont. Get everything you need in one easy step with A&E Comfort Pros. The entire heating and cooling system comes packaged in one single cabinet, which would sit on the roof of your Longmont home. Whether you need a new HVAC unit for your home or business, or are replacing a current one, a heat pump packaged system from A&E Comfort Pros in Longmont will help keep your home warm or cool no matter the season. You can learn more about this product and others just like it with A&E Comfort Pros. As an all-in-one heating and air system, equipping your home or business in Longmont with a packaged Air Conditioning system will run significantly lower energy costs than almost any other HVAC systems. Our highly efficient heat pumps are designed to maximize energy efficiency, and save you money on your energy bills. Installation is simple with only one single cabinet to transport and set up. 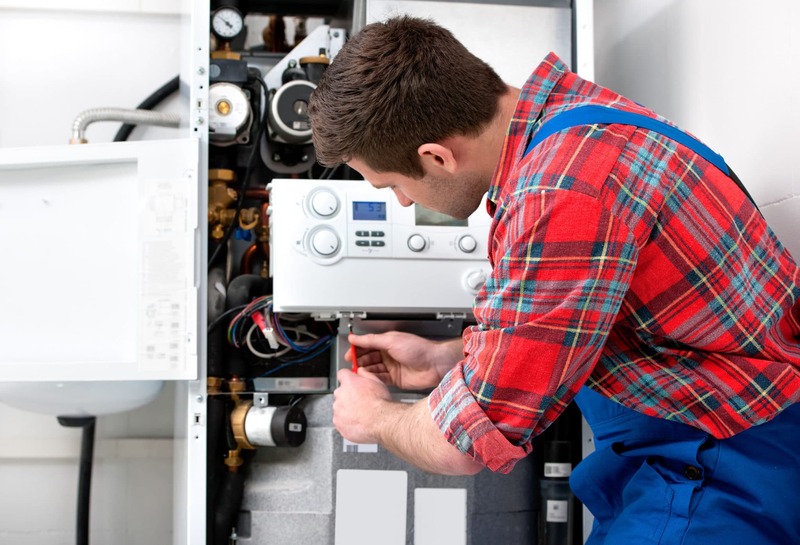 Your certified A&E Comfort Pros Longmont technician will be in and out in no time, so you will be billed for a fraction of the install price of a standard furnace. While most systems are costly and complicated to repair, a single unit heat pump packaged system keeps all components of your HVAC system in one convenient place. This simplifies many different processes, from basic seasonal inspections and maintenance, to complex repairs and part replacement. With all components on the outside of your Longmont home, our technicians can make any fixes, and perform maintenance inspection in record time, saving you money on your repair bill. A&E Comfort Pros in Longmont believes that no one deserves to be left in the cold. So why not join us here at A&E Comfort Pros? Or call our office on the front range in Longmont to learn more about our heat pumps, and packaged systems today! Is a Heat Pump Packaged System right for your Longmont home? Packaged air conditioners can provide your Denver metro area home with hot and cool air, every day of the year. As the simplest HVAC systems available, it’s easy to see why so many homeowners are choosing heat pump packaged systems with A&E Comfort Pros in Colorado. Call the professionals at A&E Comfort Pros in Longmont today and let’s get you set up with the heat pump packaged system that’s right for your home. I was referred to Efrain and he has helped me greatly over the last few months. He first helped us assess a boiler issue at a house we were considering buying in Wash Park. He came out so quickly and then was patient to help my husband and I understand the issues with the old system and how we would replace it - go from boiler to furnace + AC in a 100 year old house. We ultimately didn't buy the home but had him come do a similar assessment at the house we ultimately bought. Then, he came in and replaced our furnace post purchase. He just is wonderful. Responsive, trustworthy and then does great work. He tells you like it is, and is fair on price. You can't ask for anything else. He will do all of our HVAC work going forward. Incredible customer service, very competitively priced and HONEST!!!!!!!!!! Hard to find a qualified HVAC pro that looks at a 22 year old furnace and tells you it's running fine. This company is legit!! When my furnace finally went out they were there the same day in the middle of a cold snap and had the new furnace in the next day. Amber and Efrain are the best!! I recently hired A and E to relocate almost all of my duct work. I could not be more pleased with A and E. Efrain and I his apprentice Sergio were incredibly polite and professional. Their work was of such high quality that I almost felt bad covering it with drywall when they were done. From the very beginning, Efrain was honest and fair. He always showed up on time and left my house clean when he was finished. Amber in the office did a great job of communicating and scheduling around any conflicts (even in short notice). I am so happy to have found an honest HVAC company that I will definitely use for all my future needs. They are locally owned and operated and do business the right way. I have already started to refer this company to family and friends. Thanks for the great experience. It was a great experience. Efrain was super knowledgeable and willing to listen. Thanks for working hard today and solving our heating problems. Great experience with this local HVAC company. Always on time and reasonably priced. We highly recommend them!